Cycle Chic®: Cycle Chic Bags - OMG! That's FUNIA! 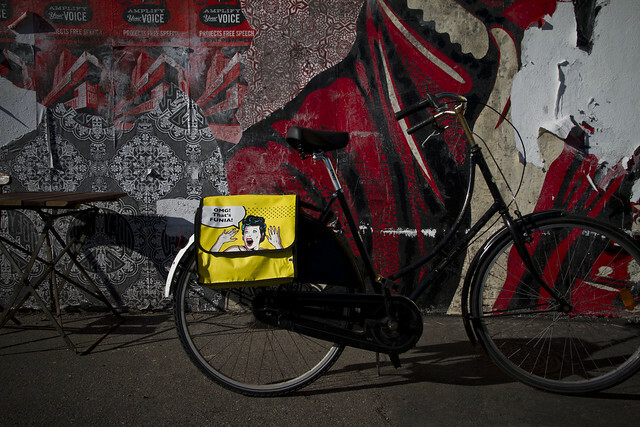 Cycle Chic Bags - OMG! That's FUNIA! Hopping to another side of the world, Tel Aviv is one of the new booming bicycle cultures with plenty of Cycle Chic citizens getting from one shop to the next via bicycle. 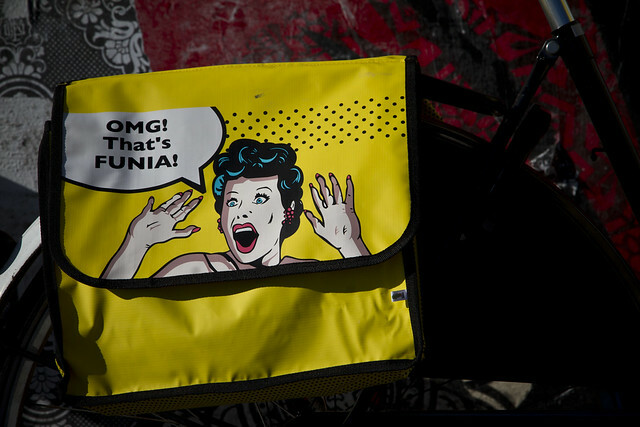 Complementing this movement, our friend Liat has designed her own growing urban brand, Funia. Sunflower yellow and totally retromodern, it playfully grabbed our attention. Like a gust of wind carrying you along, this bag makes it look easy and slaps a wide smile on our comic-strip-loving faces at the same time. Most common use: carrying bags full of pastries to the Cycle Chic headquarters. For more from Funia, here's a link to her fashion and culture blog, in Hebrew.